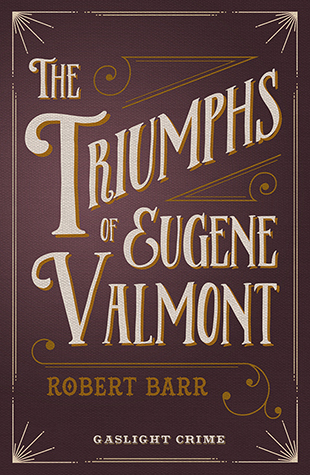 Eugène Valmont is Robert Barr's most enduring character. 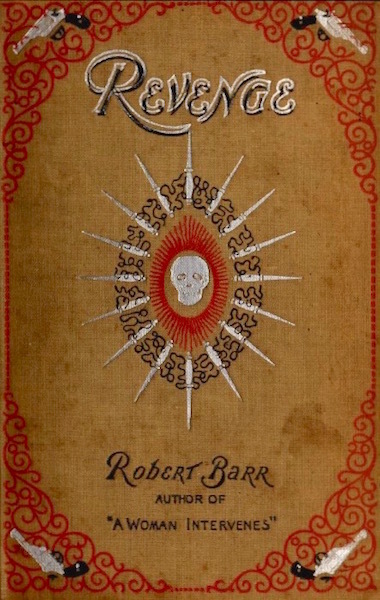 As evidence, I point to the fact that the volume bearing his name stands as the lone Barr book – he wrote twenty-three – currently in print. Valmont's adventures were first published in 1904 and 1905 numbers of Pearson's and Windsor Magazine; Americans enjoyed them through The Saturday Evening Post. This gathering of Valmont stories – eight in total – was first published in 1906 by Collins (London) and Appleton (New York). 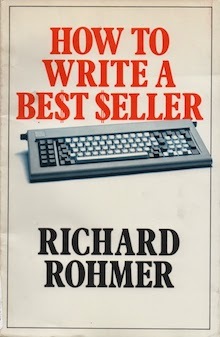 Other editions by Hurst & Blackett (London, 1912), Remploy (London, 1978), Dover (New York, 1985), and Oxford University Press (Oxford, 1997) followed. 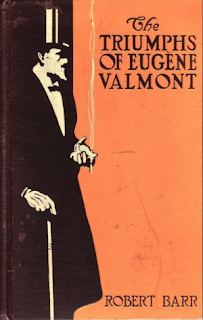 In this way, The Triumphs of Eugène Valmont has done far better than any other Barr book, including his 1900 travelogue The Unchanging East and the remarkable 1896 Revenge!, which made last year's list of three out-of-print books I felt most deserved reviving. I may admit from the outset that I have no grievances to air. The French Government considered itself justified in dismissing me, and it did so. In this action it was quite within its right, and I should be the last to dispute that right; but, on the other hand, I consider myself justified in publishing the following account of what actually occurred, especially as so many false rumours have been put abroad concerning the case. With no Watson, it is left to Valmont to recount his own adventures. He does so with sophistication, charm, elegant turns of phrase, and exactitude. I never once suspected the French detective of being an unreliable narrator, but will understand why others might. "The Mystery of the Five Hundred Diamonds" can be read as an attempt to defend the actions in the case that brought about his dismissal by the French government. And yet, so many of his other adventures are likewise tales of failure. Some years ago I enjoyed the unique experience of pursuing a man for one crime, and getting evidence against him of another. He was innocent of the misdemeanour, the proof of which I sought, but was guilty of another most serious offense, yet he and his confederates escaped scot-free in circumstances which I now purpose to relate. The name of Bentham Gibbes is familiar to everyone, connected as it is with the much-advertised pickles, whose glaring announcements in crude crimson and green strike the eye throughout Great Britain, and shock the artistic sense wherever seen. Me! I have never tasted them, and shall not so long as a French restaurant remains open in London. But I doubt not they are as pronounced to the palate as their advertisement is distressing to the eye. If, then, this gross pickle manufacturer expected me to track down those who were infringing upon the recipes for making his so-called sauces, chutneys, and the like, he would find himself mistaken, for I was now in a position to pick and choose my cases, and a case of pickles did not allure me. "Beware of imitations," said the advertisement; "none genuine without a facsimile of the signature of Bentham Gibbes." Ah, well, not for me were either the pickles or the tracking of imitators. A forged check! yes, if you like, but the forged signature of Mr. Gibbes on a pickle bottle was out of my line. "What could you expect; he is a Frenchman." 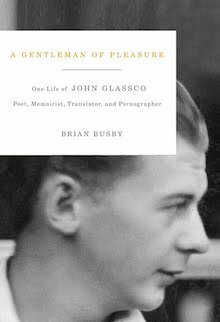 Many Englishmen, if you speak to them of me, indulge themselves in a detraction that I hope they will not mind my saying is rarely graced by the delicacy of innuendo with which some of my own countrymen attempt to diminish whatever merit I possess. Mr. Spenser Hale, of Scotland Yard, whose lack of imagination I have so often endeavoured to amend, alas! without perceptible success, was good enough to say, after I had begun these reminiscences, which he read with affected scorn, that I was wise in setting down my successes, because the life of Methuselah himself would not be long enough to chronicle my failures, and the man to whom this was said replied that it was only my artfulness, a word of which these people are very fond; that I intended to use my successes as bait, issue a small pamphlet filled with them, and then record my failures in a thousand volumes, after the plan of a Chinese encyclopaedia, selling these to the public on the instalment plan. Trivia: In 1973, the BBC aired "The Absent-Minded Coterie" as an episode The Rivals of Sherlock Holmes. Screenwriter Alexander Baron – known for his adaptations of Austen, Sicken, Thackeray and, yes, Doyle – took some liberties. 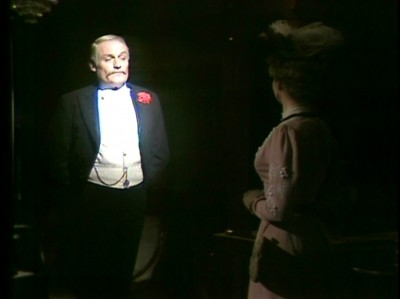 Charles Gray played Valmont. * Suzanne Neve played Miss Mackail, a character that does not feature in the original story. Object: A trade-size paperback with two introductions – to Gaslight Crime and the novel itself – both by Gaslight Crime series editor Nick Rennison. The final page features an advert for the two other Gaslight Crime books: Israel Zwangwill's The Big Bow Mystery and The Lodger by Marie Belloc Lowndes. 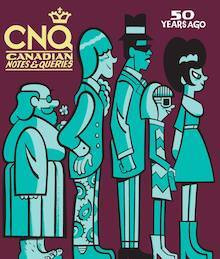 This edition also features two stories not found in the original: "The Adventures of Sherlaw Kombs" and "The Adventure of the Second Swag." 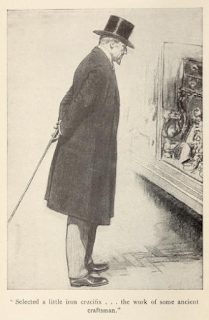 First published in the May 1892 number of The Idler, the former is an early Sherlock Holmes parody. 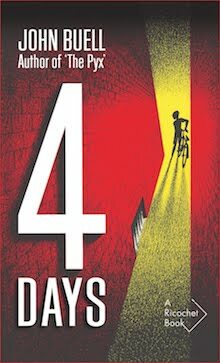 The second will appeal primarily to readers familiar with Arthur Conan Doyle's life and the magazines of late-Victorian London. I found them both brilliant. Access: Library and Archives Canada aside, The Triumphs of Eugène Valmont isn't to be found in our public libraries. This is a disgrace. I expect the librarians of Windsor Public Library, which serves the city in which Barr was raised, to hang their heads in shame. 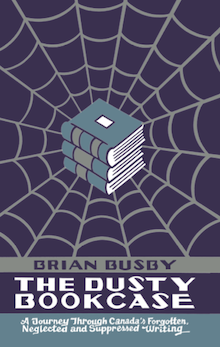 Having lapsed into public domain in 1963, the book has long been at the mercy of print on demand vultures. Since beginning this blog, I've come under attack from these filthy scavengers (See: Tutis Classics), but have always been ready to provide a perch. Dodo ain't all that bad. Buy the Gaslight Crime edition. Those with deeper pockets will be discouraged to find that editions from Barr's own time aren't cheap. A Yankee bookseller tops the list of online offerings by asking US$750 for the 1912 Hurst & Blackett. The Appleton first American edition goes for US$475. The 1906 Collins, which I believe to be the true first, is nowhere in sight. Again, buy the Gaslight Crime edition. 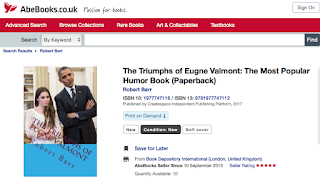 As may be expected expected, The Triumphs of Eugene Valmont has been translated into the French: Eugène Valmont – L'Intégrale. I trust Jean-Daniel Brèque's translation is better than the cover. 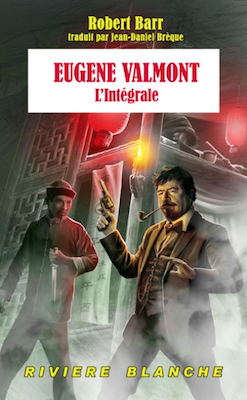 No Chinese characters feature in the novel, nor does Valmont visit any area that might be described as "Chinatown." Other translations include: Italian (I Trionfi Di Eugène Valmont), Portuguese (Os Triunfos de Eugène Valmont), Korean (위풍당당 명탐정 외젠 발몽), and Japanese (ウジェーヌ・ヴァルモンの勝利). * Coincidentally, Gray also played Mycroft Holmes, a character created by Barr's friend Sir Arthur Conan Doyle, in The Seven-Per-Cent Solution (1976), The Adventures of Sherlock Holmes (1985), The Return of Sherlock Holmes (1988), and The Memoirs of Sherlock Holmes (1994). Thank you, Anon. I'd forgotten to mention that. I should add, with appreciation, that I've listened to a bit of the LibriVox audiobook. It's reader, "Czechchris," is excellent. Fadedpage, the Internet Archive, and LibriVox are doing God's work, in my opinion. Valmont may be the prototype for all French detectives who followed in his footsteps. I'm reading the final chapters of Maurice Renard's outlandish detective/horror novel The Hands of Orlac (1920) now in preparation for a Halloween post on my blog. Inspector Cointre who appears in the last four chapters owes a lot to Valmont. A lively and engaging review you've written here. I've only read a few of the stories that crop up in detective fiction anthologies like The Rivals of Sherlock Holmes. I'm making sure I find and purchase the entire volume soon. Have you read Barr's The Colour Criminologist? 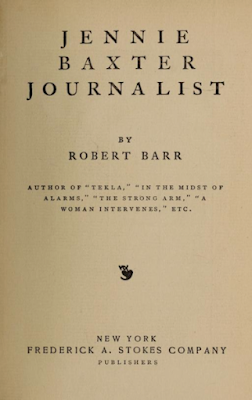 It was reprinted by Coachwhip in a twofer volume along with the short supernatural novel From Whose Bourne. The criminologist is Dr. John Durston who "uses colour mentation to study chromatic vibrations allowing him, among other things, to see visions of events elsewhere" as one bookseller put it in their catalog. Original, odd, different -- all these adjectives go without saying. 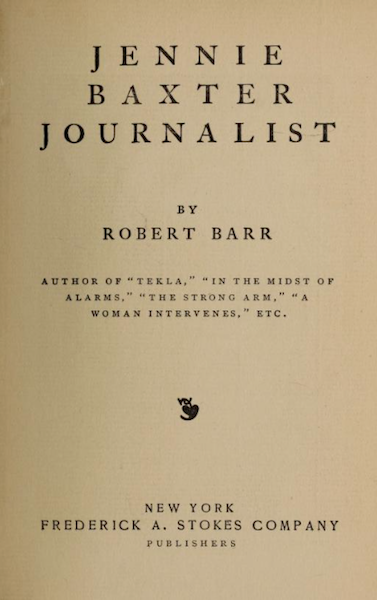 It's a Barr book definitely worth reading. Thanks for the kind words, John. I'm not so embarrassed to say that I'm not familiar with The Hands of Orlac or The Colour Criminologist, but only because, as I think you know, I didn't really read mysteries before beginning this blog. I've been playing catch-up these past nine years. I must look into The Colour Criminologist. Valmont is only my fourth Barr. His is one of those sad cases in which I read the wrong book first (In the Midst of Alarms). Twenty-three: wow, how unfortunate that they are so difficult to find and enjoy now. I'm reading about a missing diamond now myself, in the most-readily-available Wilkie Collins novel, The Moonstone (and, oh, maybe it's not really missing - they're still trying to figure all that out)! 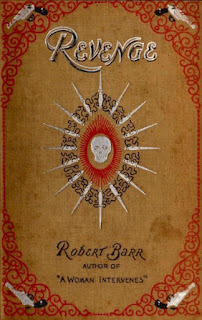 In all my years haunting bookstores, I've only twice come across a book by Robert Barr. My good luck is that both were inexpensive. Yes, The Moonstone isn't that difficult to find - the book, not the stone, I mean!